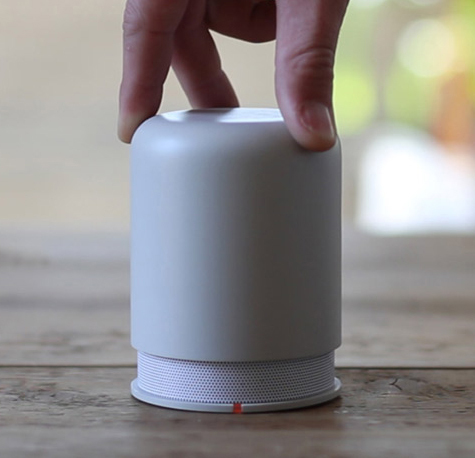 By twisting the cap of this speaker you adjust the volume, and when the speaker is fully "closed", the speaker is turned off. Simple, straightforward, fantastic. Since they made $810,000 over their Kickstarter budget, I expect this speaker to be in production soon! Hidden Radio designed by John van Nieuwenhuizen Vitor Santa Maria.